If your heels make you gasp with pain first thing in the morning -- every morning -- then you may have a condition known as plantar fasciitis. The good news is that you can experience relief from this debilitating discomfort, thanks to our team of chiropractic, medical, and physical therapy practitioners in Sioux City IA. The plantar fascia is a strong band of connective tissue that extends from the front part of the foot to the heel bone. This tissue performs the important task of supporting the arches of the feet, which in turn allow your feet to carry and balance your entire body weight. 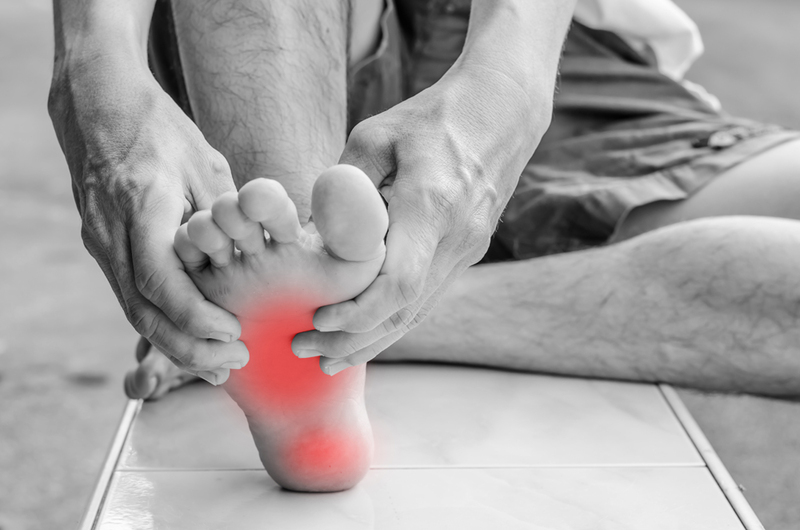 Plantar fasciitis refers to painful, chronic inflammation of this tissue due to constant repetitive strain that creates micro-tears in it. The pain is usually most intense underneath the heel. You might be surprised to discover that the pain seems worse after you've given your feet a full night's rest and you're just getting out of bed. You'll be glad you walked your painful feet into Multicare Health Clinic. Our multi-disciplinary health and wellness team can take a holistic approach to your problem, analyzing the underlying cause and recommending a personalized treatment plan. If a spinal alignment is affecting your feet (or vice versa), we may administer chiropractic adjustments to help straighten out the kinetic chain. Massage therapy to the foot and calf muscles can relieve pain along the underside of the foot. Some of the plantar fasciitis recommendations can be taken out of our office and applied to your everyday life. For instance, we can recommend some simple exercises that you can do at home to keep your connective tissues flexible and your muscles strong. You may also benefit from orthotic inserts that provide extra arch support just where you need it to take some of the strain off the plantar fascia. Other recommendations may include weight loss, selection of more sensible shoes, and other foot-friendly lifestyle changes. There's no reason for you to keep suffering from the crippling pain of plantar fasciitis day in and day out. Take action right now to get safe, effective relief by calling Multicare Health Clinic today at 712-276-4325. We could turn out to be the best friends your feet ever had!